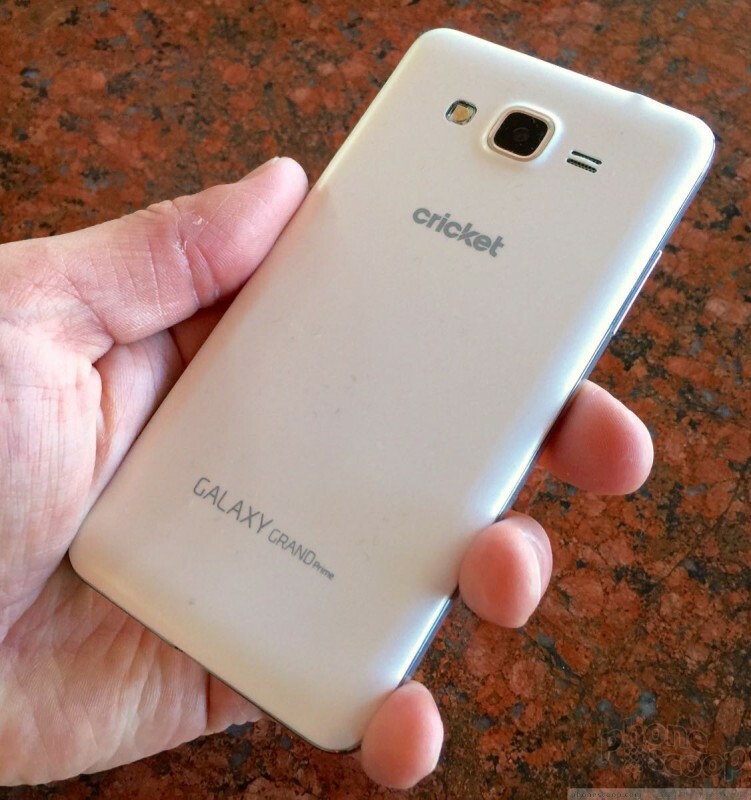 Samsung's mid-range handset mimics some of the company's classier designs and offers a respectable value for Cricket Wireless customers. 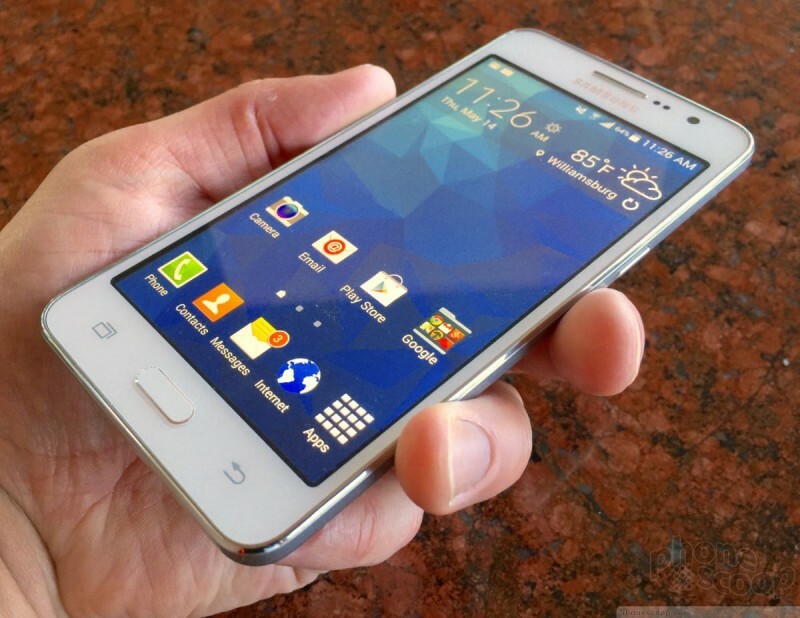 Here is Phone Scoop's full report on this Android handset. 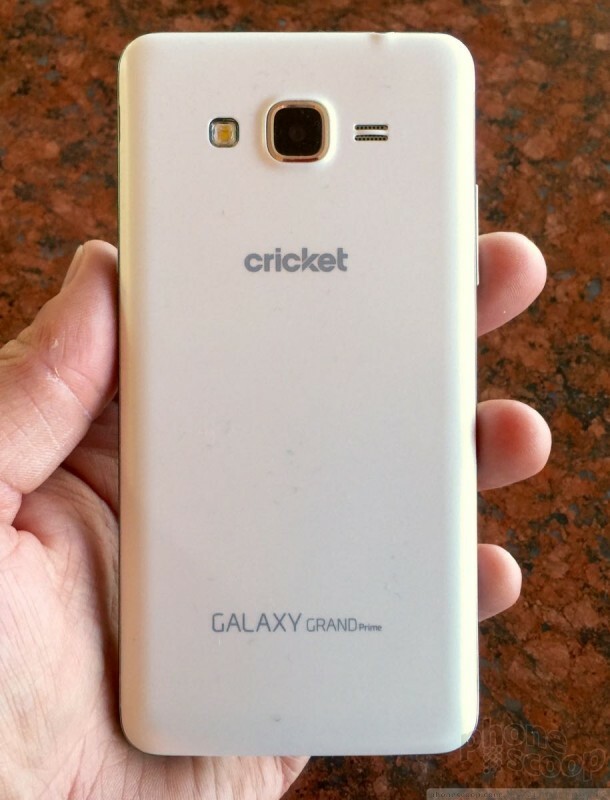 The Samsung Galaxy Grand Prime is an inexpensive handset that lands in the middle of Cricket Wireless' roster of phones. The Grand Prime is for those who want more than an entry-level handset, but don't want to shell out big bucks for today's top-of-the-line flagships. It has a balanced price-for-features equation that should work for many people. 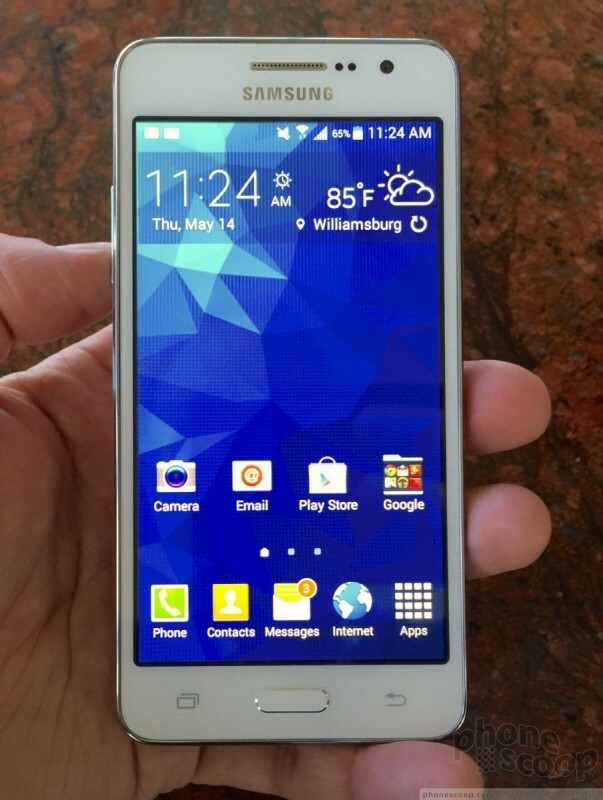 The Galaxy Grand Prime is no Galaxy S6. The two smartphones may share some genetics, but the Grand Prime is clearly from the company's lesser bloodlines. It's Uncle Fester to Gomez Addams. 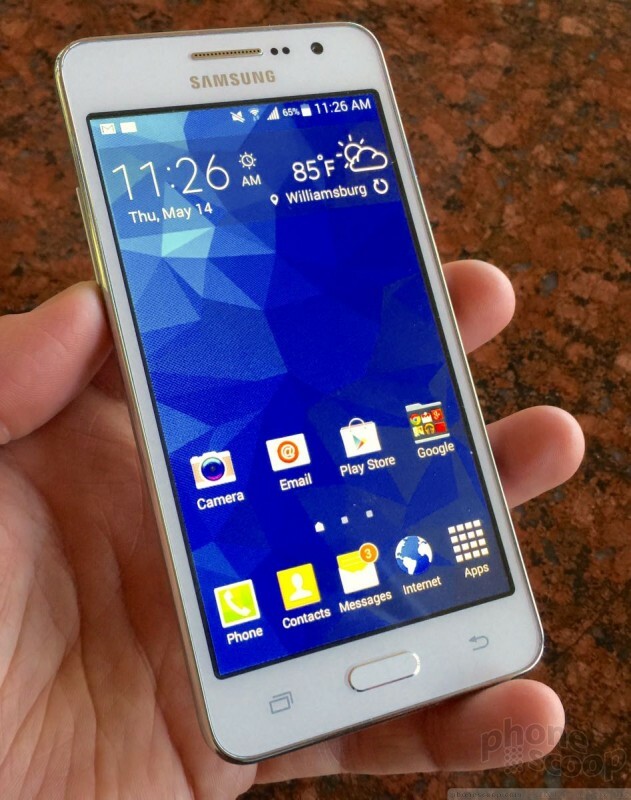 The Prime could easily be mistaken for one of a dozen phones from Samsung's lineup over the last few years. Still, Samsung was sure to give it a touch of class so it won't be labeled the frump of the family. The Grand Prime will surely catch your eye thanks to an (over?) abundance of chrome accents. Light reflects off the darned thing at pretty much every angle. 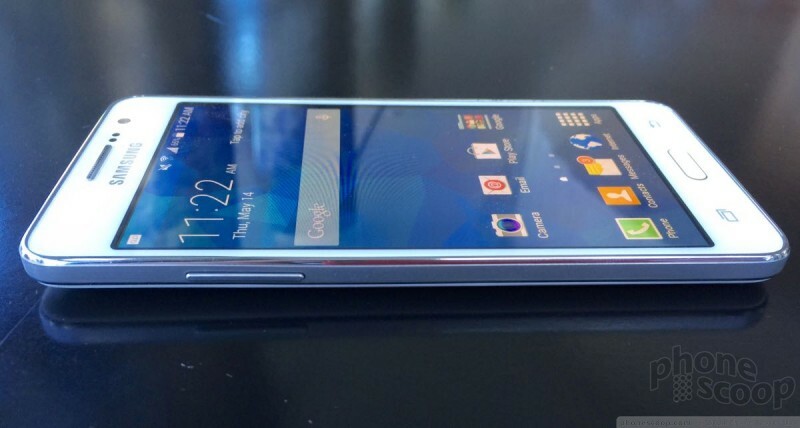 The side edges of the phone have a silver-colored finish, and the chamfered edges have a bright shine to them. 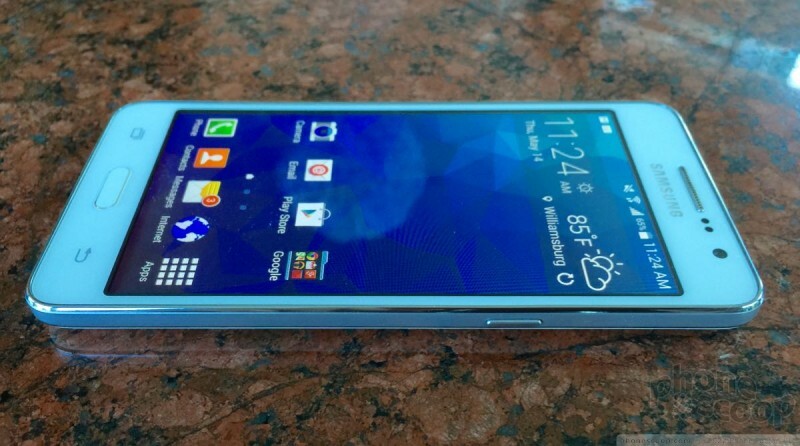 The effect isn't dissimilar to the Galaxy Note 4 or Galaxy Alpha, but the look is much cheaper. The edges encircle the glass face with a metallic-looking frame that's always noticeable. As is common to Samsung handsets, the earpiece is covered with a chrome grille. The home button and camera module have chrome accents, as well. Heck, even the flash has a chrome accent. The rest of the Grand Prime — front and back surfaces — are white. 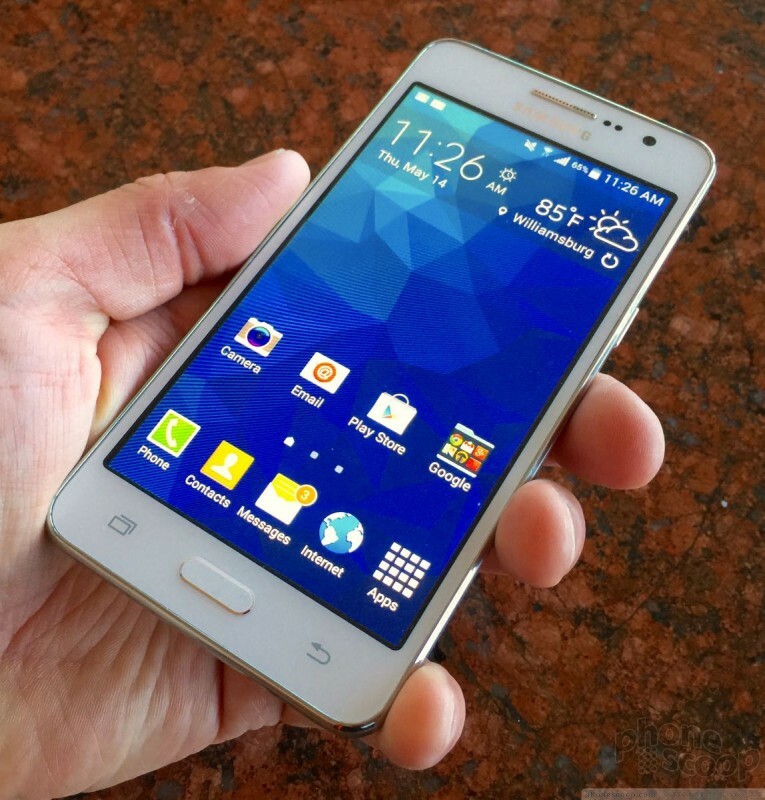 The Grand Prime is a large smartphone thanks to the 5-inch screen, though not quite broaching phablet territory. It has rather squarish shoulders that contribute to its blocky look. I found it mostly comfortable to hold and use. It could fall into the "just right" spot for many users who want something with a generous screen that isn't quite the size of a dinner tray. At 8.6mm thick the Grand Prime is by no means chubby, but I still found myself wishing it were a bit slimmer. The side edges are curved just enough where they meet the back surface to help the phone sit a wee bit deeper in your palm. It should fit most pockets without issue. The materials are about what you might expect from Samsung. Aside from the glass face, the Grand Prime is formed by plastics. The side edges may look like metal, but they're polycarbonate. 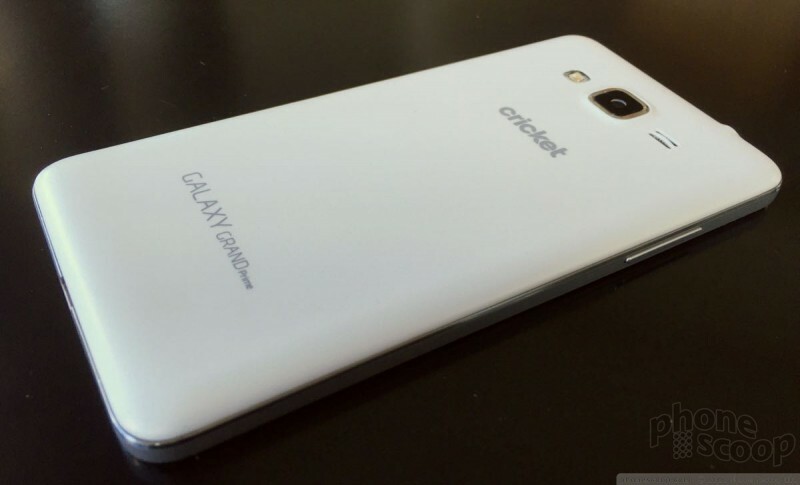 The back surface is glossy plastic that just barely manages to avoid feeling cheap. The build quality is decent, but not the best I've seen. The rear cover, for example, didn't fit the phone very well and was difficult to press on entirely. As noted, the chamfered chrome edges rim the display and also form a rather big lip to protect the screen. I found the lip dug into my palms at times. Several sensors and the user-facing camera stand out starkly from the white plastic above the screen. The bezels are a bit thick, in my opinion. There's plenty of space below the screen for the physical home button and capacitive buttons to either side. All three keys work well; the home button offered great travel and feedback. You'll find the volume toggle on the left edge of the phone closer to the top. It's a slim button and it doesn't have any nubs or other physical indicators to let you know where your thumb is. Travel and feedback of this key is rather mushy. I was more pleased with the screen lock button, on the right side. The button could be a bit bigger and easier to find, but it worked well. If you want to plug in some headphones, the jack is on top; if you want to plug in a USB cable, the port is on the bottom. The rear cover is a serious chore to pull off and replace. 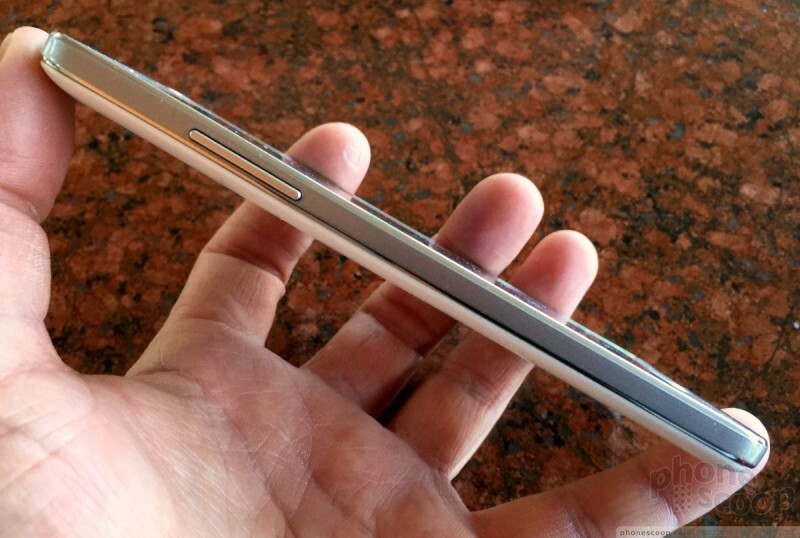 Samsung generally uses tiny — but tight — clasps to hold rear shells in place. In the Grand Prime's case, they are extremely fussy. I found it impossible to get all the clasps to snap shut, leaving ugly gaps along the side edges. The battery itself is swappable and must be removed in order to access the SIM and memory card ports, which are buried next to it. I can't say there's anything unique or compelling about the Grand Prime's design, but it is a functional phone that looks like it cost a bit more than its $180 price tag. 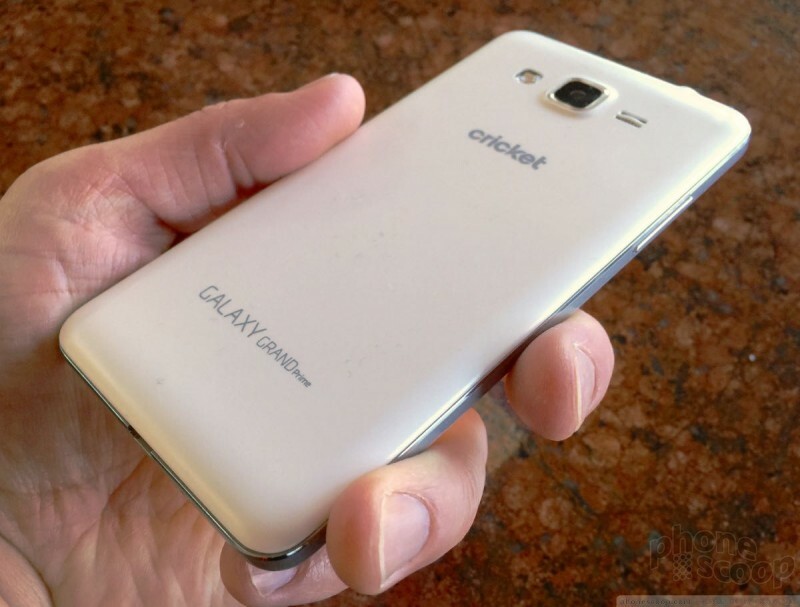 Cricket Wireless announced the Samsung Galaxy Grand Prime is available to customers today for $179.99. The phone has a 5-inch qHD display, 1.2GHz quad-core processor, 8-megapixel main camera, 5-megapixel front camera, and a 2,600mAh battery. T-Mobile today announced new pricing for family plans that sees the price drop to $30 per line. The plan includes unlimited talk, text, and 6 GB of LTE data per line, as well as standard T-Mobile features, such as Rollover Data, Music Unlimited, and Binge On. 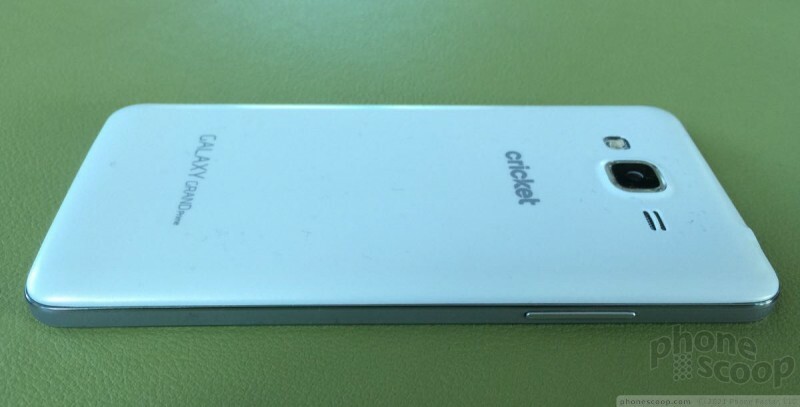 ZTE's latest low-cost Android smartphone for Cricket Wireless is the Grand X 4. This phone is well made, but offers middling specs and performance.